S.H. Monsterarts Roundup! Its a Collector’s Update! – SKREEONK! S.H. 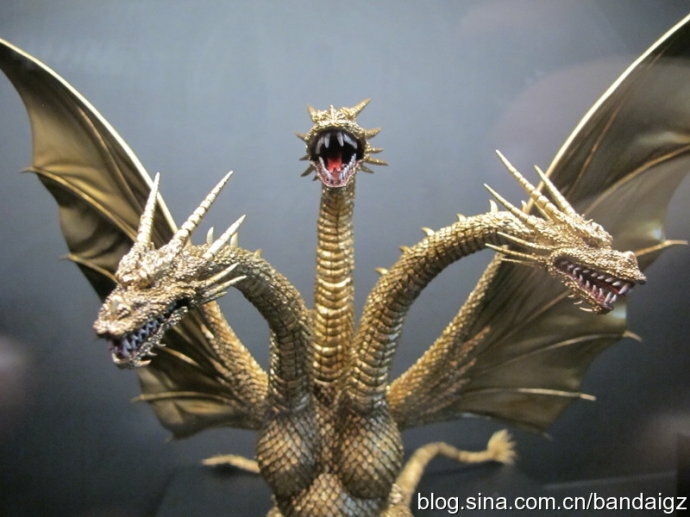 Monsterarts Roundup! Its a Collector’s Update! Few things have divided the kaiju fandom quite like S.H. Monsterarts in recent years. The entire divide/debate reminds me oh so very much of the Godzilla: Final Wars hooplah from nearly a decade ago. Older fans and purists damned the film for being a travesty and a hoax of an anniversary film, while newer and more excitable fans ate GFW up like ice cream with sprinkles made of awesome on top. Personally, GFW feels to me like the Japanese equivalent of a cheap Michael Bay film. But all jokes aside, the film is undeniably entertaining – and made Godzilla accessible to an entirely new generation of fans. For that, I am incredibly thankful. S.H. 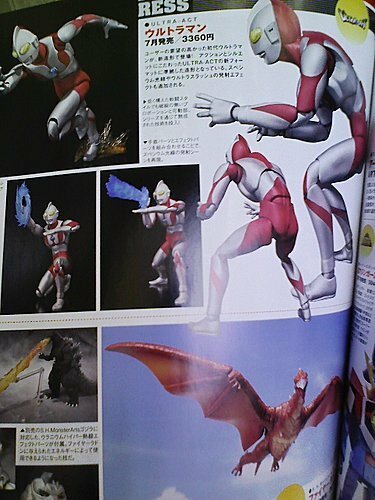 Monsterarts is a completely different ballgame, however. These incredibly detailed, gorgeously crafted figures from Bandai are indeed dividing the fandom – yet the end product remains the same. These figures look damn good. And hate ’em or love ’em, they’re here to stay. 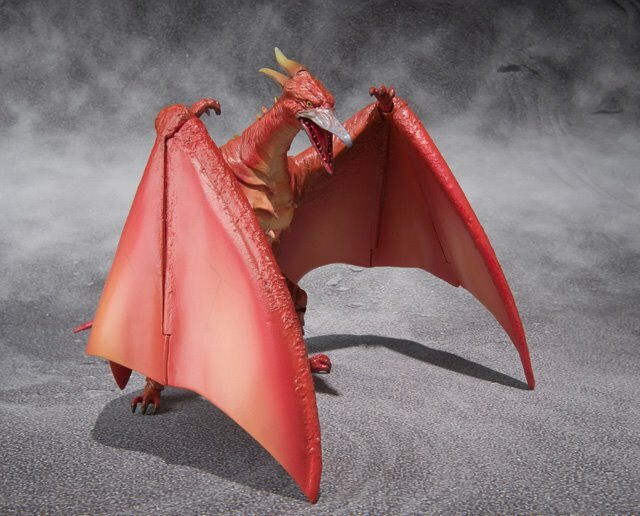 The series is doing so well that Bandai’s next two releases: Little Godzilla and Fire Rodan, will be mass distributed in the states as well as the homeland (Japan, for those playing the home game). According to the Tamshii/Bluefin facebook page, Fire Rodan ships in July/August at the price of 3675 Yen. 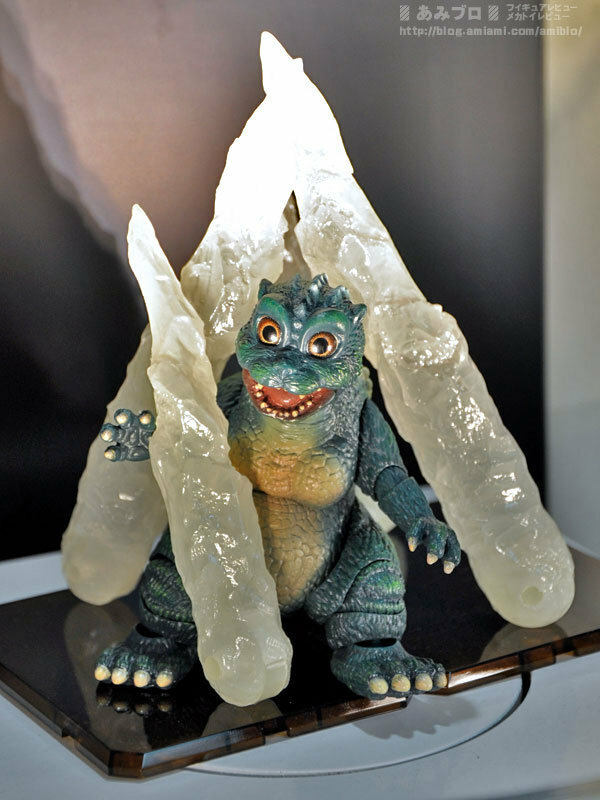 Little Godzilla will include a display stand and the pictured crystals to the left. No word on what Fire Rodan will include. Speaking of Crystals, several retailers listed the S.H. Monsterarts Spacegodzilla as “Available” and/or “InStock” today! Anyone who has preordered Godzillas evil twim should be receiving him within the coming days/weeks. Spacegodzilla is all over online marketplaces like Amazon and eBay, and is generally selling for anywhere from $80 to $120 with shipping. I wouldn’t pay anymore than $65 for the figure, personally, but I don’t plan to buy SpaceG anyway, so don’t listen to me! On the flip side of things, MechaGodzilla’s Garuda effects pack is scheduled to be released by the end of March, or so says www.nippon-yasan.com. Earlier pre-orders stated that the add on would be available at the end of February, but have yet to deliver. We shall see in the coming weeks what happens! I’ve included a gallery of all the featured images below, as well as several new Spacegodzilla shots and a clear look at the Rodan pic from the magazine ad. Check back with us as always for the latest on Bandai’s new figures! Until next time, true believers! Posted on March 23, 2012 0 By Jon D. B.	Collector's Update! Posted in Collector's Update! Next Post New 2012 Sculpts from X-Plus Up for Pre-Order! Kiryu Joins the Ranks! Its a Collector’s Update!